Your front door is not only there to look good but to also provide safety for your family. Unfortunately, doors don’t last forever. After a while, they need to be replaced in order to keep providing security and curb appeal. How can you tell when it’s time to replace your main entry door? Here are some indications that it’s time for a new door. If you have to apply elbow grease in order to open or close your front door, it’s time for a replacement. Your home’s main entry door should open easily and close just as easily. Difficulty opening or closing might result in the expansion of the door material. This is more likely to happen if the door is made of wood or metal. With humidity, wood absorbs moisture and then expands. Difficulty opening might also be because of a problem with the hinges or the door frame. Has your door lost its curb appeal? Doors play an important role in adding to your home’s curb appeal. Dents, scratches, rotting frames and chipped edges lose that curb appeal. An ugly door affects your home’s look. Chips and scratches also leave room for the door to absorb moisture which can lead to rotting. A good door is properly sealed to avoid drafts and leaks that can cost you in energy savings. Do you have to stuff a rag or towel under your door to keep the cold out in the winter? Then it’s time for a new door. 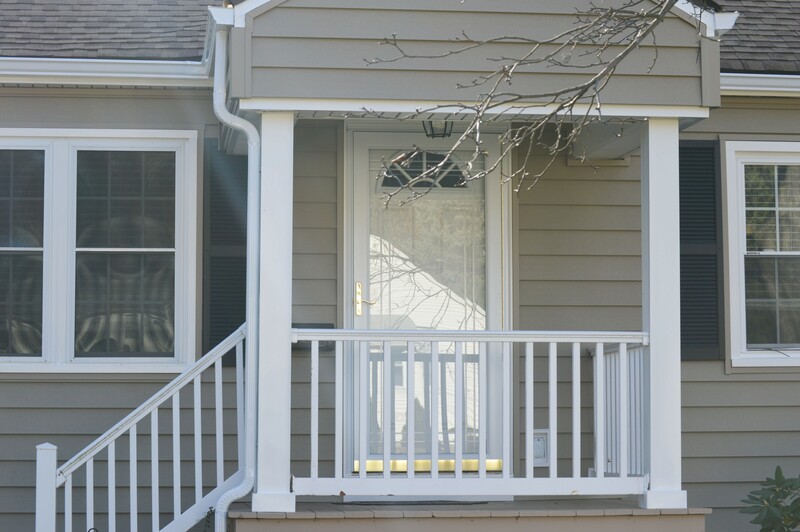 If sunlight is streaming in under, over or on the sides of your front door, it might be time for a replacement. Bad seals cause drafts. Drafty doors make it harder to keep your home cool in the summer and warm in the winter. Does your front door check all three of the boxes? We can help with a quality and elegant door. Get a free estimate on our Stylelite Main Entry Doors. Secure, beautiful and quality doors.